Stoptech STR brake fitment w/ tie rod end - Miata Turbo Forum - Boost cars, acquire cats. So i'm finally getting around to assembling the car and just put on the forged tie rod ends from Supermiata w/ the Stoptech BBK (floating rotors) and i've got like maybe 2mm clearance between the tie rod end and rotor on the passenger side. This is without the brake duct/shield on. Driver side has maybe 3-4mm clearance. Anyone else dealt with this? Any other tie rods that will give me better clearance? Last edited by MuchoBoosto; 02-10-2019 at 04:30 PM. Pretty typical. If you run a brake duct, you’ll wanna cut that part off. You can grind a bit of the tie rod casting off with a flapper wheel too. I'd be concerned about heat soaking the grease in the joint with that tight fit. It's a genuine concern. We have seen partially melted boots on our race and track cars with aftermarket BBK's. 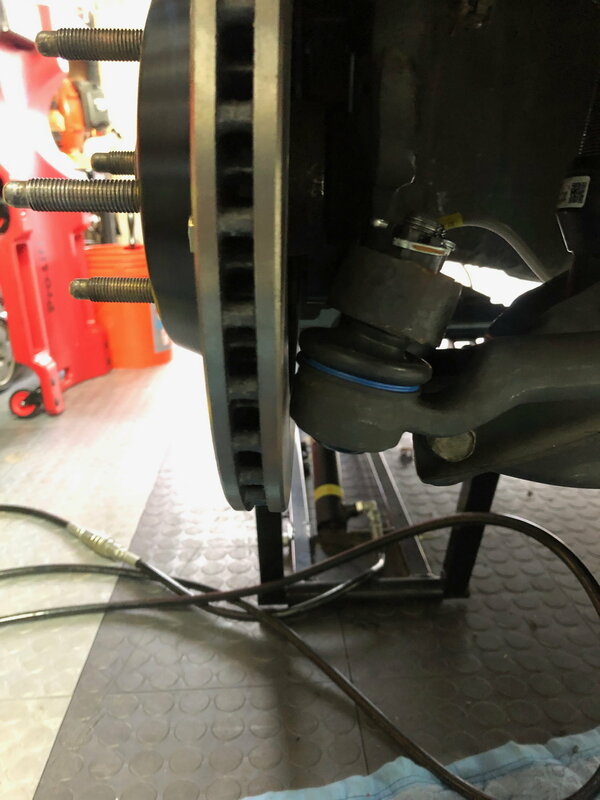 Our upcoming brake systems will increase clearance here for this reason. there are no Miata Parts on 949racing.com nor any 949 racing branded Miata parts. Haven't been for about 10 years. I knew 2018 felt really long for me, but it's impressive packing 10 whole years in there. I had plenty of DPE buying Miata parts from 949Racing.com in 2017. 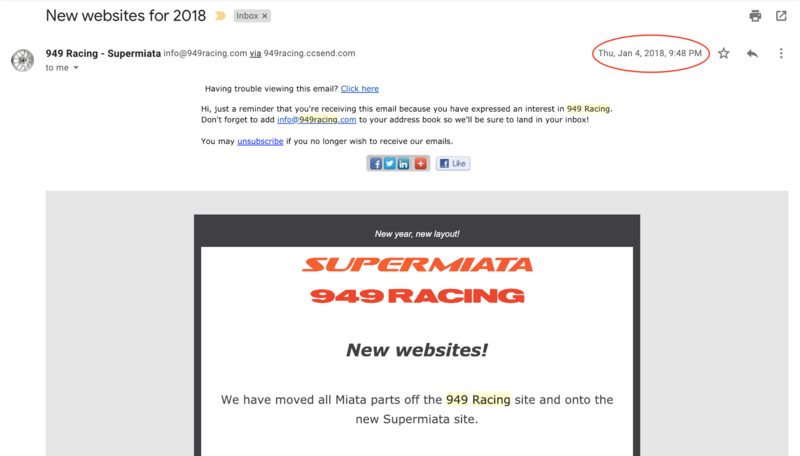 No "949 Racing branded Miata parts". The 1st and last 949 Racing branded Miata part was our end link, around 2010. After that they, and all other Miata parts were branded Supermiata, logos right on the part. We always referred to the parts as "Supermiata" even though you purchased them on 949racing.com. Wondering if i could make some ~3-5 mm offset spacers for the hub and caliper bracket? I'd really like to keep the heat shield on and functional to prevent premature tie rod end failure. I'd wrap some silicone self fusing high heat tape around the boot or coat the boot with high temp rtv for at least somewhat of a heat barrier.